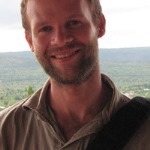 Dr Timothy Williams is a Postdoctoral Fellow in Education at the Harvard Graduate School of Education; Adjunct Professor in Global Social Work at Boston College; and Researcher for ESID in Rwanda. Timothy’s research interests are in education, childhood studies, international development, and Rwanda. Williams, T. (2016). ‘Oriented towards action: The political economy of primary education in Rwanda‘. ESID Working Paper No. 64. Manchester. Williams, T. P. (2017). ‘The political economy of primary education: Lessons from Rwanda’. World Development, 96: 550-561. Milligan, L, Tikly, L., Williams, T. P. et al (2017). ‘Textbook availability and use in Rwandan basic education: A mixed-methods study’. International Journal of Educational Development, 54: 1–7. Williams, T.P. (2016). ‘Theorizing children’s subjectivity: Ethnographic investigations in rural Rwanda’. Childhood. [Special issue: Beyond Pluralizing African Childhoods], 23(3): 333-347. Williams, T. P. et al. (2016). ‘Rejecting “the child”‘, embracing “childhood”‘: Conceptual and methodological issues for researching with children’. International Social Work, 59(6): 734–744. Winthrop, R. and Williams, T. P. (2016). ‘Skills in the digital age: How should education systems evolve?’ Washington, DC: The Brookings Institution. Pells, K., Pontalti, K. and Williams, T. P. (2014). ‘Promising developments? Children, youth and post-genocide reconstruction under the Rwandan Patriotic Front’. Journal of East African Studies. [Special issue: Rwanda under the RPF: Twenty Years of Post-Conflict Governance], 8(2): 294-310. Williams, T. P. (2014). ‘Book review: From Classrooms to Conflict in Rwanda by Elisabeth King’. New York: Cambridge University Press, 2014. Comparative Educational Review, 58(4): 736-738. Williams, T. P., Abbott, P. and Mupenzi, A. (2014). ‘”Education at our school is not free”: The hidden costs of fee-free schooling in Rwanda’. Compare: A Journal of Comparative and International Education, 45(6): 931-952. (18 May 2017). ‘Tim Williams’ education in Rwanda research published in World Development‘.